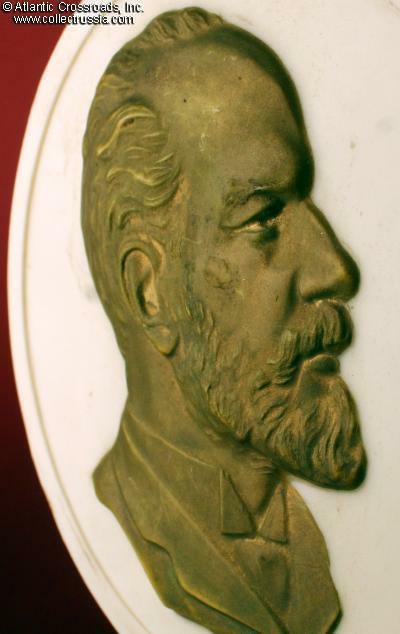 Award plaque with simulated bronze profile of Pyotr Ilyich Tchaikovsky, famous Russian composer of The Nutcracker, Swan Lake and The 1812 Overture. Measures 5 3/8" in diameter. 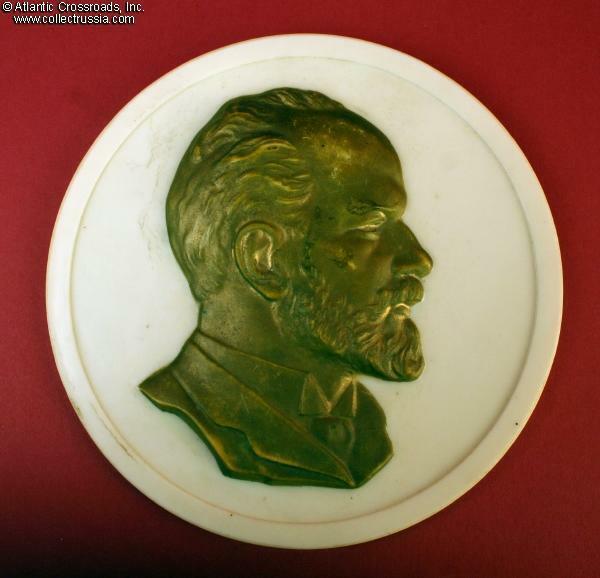 Ivory colored plastic with a bas relief of the composer's profile colored to look like bronze. Reverse bears a small raised area that probably served as an attachment point for a wire easel. Short inscription indicates that the plaque was made at the direction of the Arts Fund of the USSR in Moscow. Very good to excellent condition. While the portrait shows some wear on the higher areas of the profile, the impression is still that this is an actual bronze. 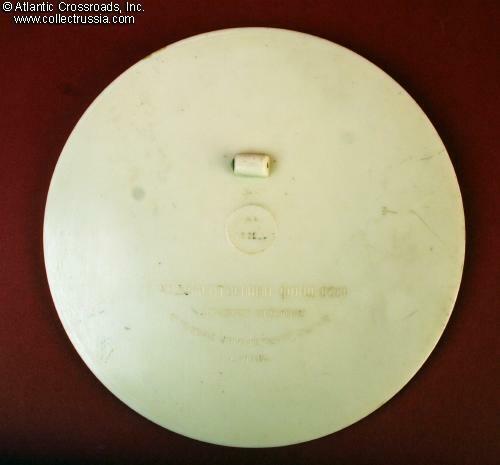 If a wire loop was attached to the back, the plaque could be easily be hung on a wall.